Created in the U.K. and released 1982 by Sinclair Research Ltd, the ZX Spectrum is a 8-bit personal computer that had a series of interesting games. 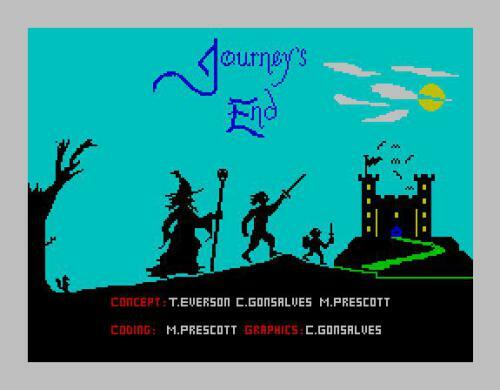 Here you can find reviews for the ZX Spectrum. 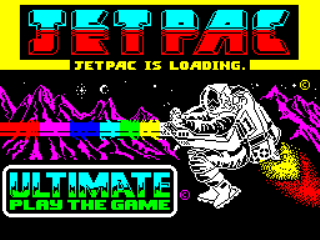 Developed by Tim and Chris Stamper, the founders of Ultimate, Jetpac is a simple game as you might expect, and it stars Jetman. 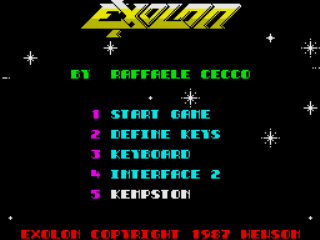 It’s your job to guide him around the single-screen stages to reassemble his rocket and then refuel it by collecting the fuel pods that fall onto the screen one by one. On most stages after this he’ll just need to refuel it but every now and then there will be a new rocket to reassemble and he’ll have to repeat the whole process from scratch. 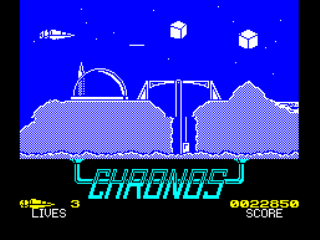 Jetman can fly using the titular device for indefinite periods and is also armed with a laser to take out the endless swarms of aliens that drift across the screen attempting to stop him from half-inching their resources (such as precious metals and gems), which also drop onto the screen periodically and can be collected for bonus points. In order to accomplish your mission, you must locate and arm each bomb whilst avoiding or shooting the green, zombie- like creatures (presumably the Deviants themselves) wandering around, going about their dastardly business. The rapid- fire assault rifle-type gun you’re equipped with takes them out within a few shots (which sees them crumble to the floor in a pile of dust) but it has a finite supply of ammo, so keep an eye out for the extra ammo icons dotted around here and there.